I started with my contacts and found that importing from Outlook.com to Google was straightforward enough. First log into Gmail and then switch to Contacts using the drop down menu. Click the More drop down menu and then click Import. Click on Outlook.com to import contacts from other accounts. Click I Agree, Let’s go! The starting import dialogue will appear. Give your Google account permission to access your Outlook.com data. Click Yes. If it doesn’t happen straight away you can open your Contacts app on your Android phone, tap the menu (three vertical dots) and then tap Sync now. Recharge anytime. The battery doesn’t need to be empty or low before you recharge … However, it’s best to let the battery run down to 10% at least once per month before you recharge it. The Surface Pro 3 Type covers lacks the traditional PrintScreen button which is useful for grabbing a quick screenshot of your screen. A workaround is to simply press Fn + Windows + Space in sequence. The screen will dim briefly and then a screenshot will be stored in Pictures\Screenshots. So I recently installed Visual Studio 2013 on my Surface Pro 3 and then found that I could no longer put it to sleep. 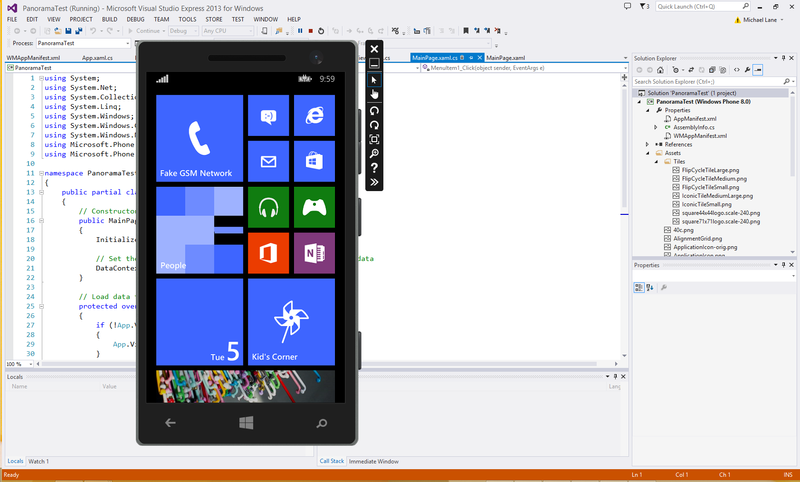 VS 2013 enables Hyper-v in Windows which developers use to test apps in other Operating Systems (such as Windows Phone). The problem is that Hyper-v conflicts with the advanced power management features (Connected Standby) on the Surface Pro 3. While Hyper-v can be turned on and off this requires a reboot – and the Surface Pro 3 can only be shutdown, restarted or hibernated while Hyper-v is running. The work-around is to manually enable and disable hyper-v and then reboot. The Type cover for the Surface Pro 3 is a little different than your regular laptop keyboard. The function keys dim and brighten the back-light on the Type cover and open Windows functions such as Search, Sharing, Devices and Settings (amongst other things). This can be pretty helpful – depending on what you are doing – but this default configuration means that one of my most used keyboard shortcuts Alt + F4 is not available. The first solution is to just use Fn + Alt + F4 instead. Otherwise pressing and holding the Fn key and then pressing Caps toggles the functionality of the top row of keys on the Type cover so that you can use Alt + F4. This is a toggle though – once you can use Alt + F4 you have to toggle back to use the default (pictured) functionality of these keys. The Type cover for the Surface Pro 3 lacks the typical laptop buttons for adjusting the brightness of the screen. Screen brightness can be adjusted using the keyboard as follows. Of course on Windows 8 you can always adjust the brightness from the Charms Bar by tapping or clicking Settings and then Screen too. After that I was able to connect without any issues. Conversely I experienced no issues using remote desktop from the local account machine to the Microsoft account machine.